The University of Toronto, where Wilson served as chancellor from 2012 to 2018, confirmed his death in a post on its website Sunday evening, saying the school’s flag will fly at half-mast until Wilson’s funeral. 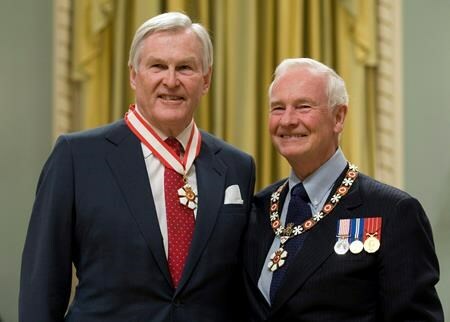 The school’s president, Meric Gertler, called Wilson a “great Canadian” who improved many lives through his “comprehensive excellence, his unassuming generosity and his quiet compassion. 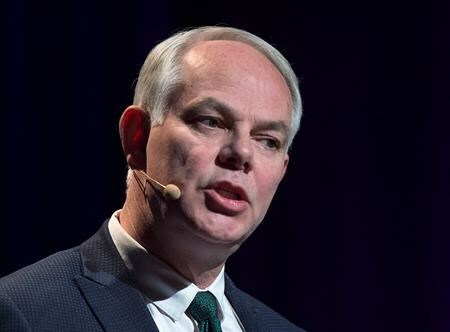 “From spearheading public policy of the highest significance to publicly confronting the challenge of mental illness, Michael Wilson was a true champion,” Gertler said in a statement. From March 2006 until October 2009, he served as Canada’s ambassador to the United States. Former prime minister Stephen Harper, who appointed Wilson to the post in Washington, said he served Canada with “exceptional skill and dedication. “From the Cabinet table to serving our country with dignity and wisdom as Ambassador in Washington, Mike embodied the best of public service,” Harper wrote on Twitter. Prime Minister Justin Trudeau said Wilson’s “dedicated service” to Canadians will leave a lasting impact on the country. “We’ve lost a truly great Canadian. My condolences to his family and friends,” Trudeau wrote on Twitter. The Island’s Green party, led by Scottish-born dentist Peter Bevan-Baker, has recorded upward momentum in the polls for more than a year, suggesting the smallest province may be ready to elect Canada’s first Green government. “It has not been a particularly fascinating campaign, but I think it’s going to be a fascinating election night,” says Don Desserud, a political science professor at the University of Prince Edward Island. A Narrative Research poll for the Charlottetown Guardian released this week suggests the Greens had maintained a lead, but it was within the margin of error and the Tories and Liberals were not far behind. The close numbers also raised the spectre of a minority government, which would itself mark a historic moment for the Island: The last time a minority was elected in P.E.I. was 1890. Islanders have been electing either Liberal or Conservative governments since Confederation. And a clear pattern has held since the mid-1960s, with majority governments being regularly replaced after serving three terms — though the Liberals eked out a fourth term in 1978, only to lose power a year later. Premier Wade MacLauchlan’s Liberals will be seeking a fourth term on April 23, which has prompted some critics to suggest the party has overstayed its welcome. Though the province’s economy is among the strongest in the country, voters have been reluctant to attribute any of that success to MacLauchlan. Donald Savoie, the Canada research chair in public administration at the Universite de Moncton, says he’s bewildered by the lack of credit given to the Liberals. “It is difficult to imagine how the MacLauchlan government could have produced a better report card on the economy before going to the polls,” Savoie wrote in a recent editorial, noting the numbers look great for wages, employment, immigration, housing starts, exports, retail sales and tourism. So what is it about the Greens that has moved the Island’s traditionally small-c conservative voters to consider a more progressive party? Bevan-Baker says the shifting political sentiments on P.E.I. are a reflection of a broader movement away from traditional, mainstream politics. He’s called it the local expression of a global phenomenon. “People are looking for something that doesn’t sound or smell or taste like a conventional politician,” he said in an interview late last year. Bevan-Baker became the first member of the Green party to win a seat in the P.E.I. legislature in 2015, having failed to win a single election after 10 attempts on the Island and in Ontario. As party leader, he has spent the past three years carefully crafting the party’s brand by consistently challenging the notion that the Greens are a single-issue entity devoted only to environmental activism. During the election campaign, Bevan-Baker made a point of broadening the party’s public appeal by focusing on social issues. When the party released its entire $30-million platform at the beginning of the campaign, the largest chunk of that planned spending — $10-million — was earmarked for increasing social assistance rates. Increasing the inventory of affordable housing was also a top priority. The party has been talking about environmental issues, “but they have not foregrounded them,” the professor said. And when it comes to climate change and carbon taxes, Bevan-Baker has been careful to link a healthy environment with a prosperous economy. As for the Progressive Conservatives, the party may have deep roots on the island, but it has been plagued by infighting. In the past eight years, the party has had no fewer than six leaders, including Dennis King, who was elected in February. The party enjoyed a boost in the polls in March, when it was in a virtual dead heat with the Liberals and this week’s Narrative poll suggests they have continued momentum. As for the Island’s New Democrats, led by Joe Byrne, their poll numbers have remained at single digits for the past year. On Tuesday, voters will also learn the results from a binding referendum on electoral reform, which will determine if Islanders want to keep the first-past-the-post system or change to a mixed-member-proportional-representation model. In a 2016 plebiscite, 52 per cent voted in favour of switching to a mixed-member system, but MacLauchlan rejected the results, saying the 36 per cent turnout rate was too low. Prime Minister Justin Trudeau promised to abolish the first-past-the-post system federally during the 2015 election, but he later abandoned that pledge, saying Canadians were not eager for change. Voters in British Columbia rejected making such a change in December 2017.